CaityBakes: Sometimes you just need to bake. Sometimes you just need to bake. I drive a 1997 VW Jetta. I love this little car, but this little car should probably not be on the road anymore. My little bank account, however, is just that. Little. So the Jetta remains. She's been relatively good to me; expensive repairs, yes, but no breakdowns on the side of the road leaving me stranded. Los Angeles is a warm place, in case you haven't heard, but on the first night that made it evident it's actually winter, my car oil pressure light started blinking at me and making loud noises out of the blue. So I pulled over, read what that meant in my manual, waited 10 minutes for the engine to cool down, then checked the oil to find that there was none. So I called a tow truck. Even though my mechanic was only 4 blocks away. Can't drive without oil. Cut to two hours later and I'm still waiting in the dark, can't feel my toes, and am listening to "Let It Be" on hold trying to figure out where the tow truck is. Note to tow truck companies: People calling you are probably not in the brightest state of mind. Playing music that tends to be tear-inducing as listeners envision the terrible riot scene in "Across the Universe," despite theoretically uplifting lyrics, is probably not your best bet. So now that that's out in the open, I eventually made it home, three hours after pulling off to the side of the road, and decided I needed to make cookies. 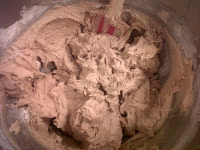 Cookies make the house smell good, cookies make me feel like I am useful when my circumstances render me useless, and cookie dough is just about the most delicious thing in the world. Then I delivered some to my commercial agency this morning which made them incredibly happy (happy agent=happy actor) because I was the first actor to bring by a gift. I'm sure by the end of the week they'll have many more, but it certainly doesn't hurt to be the first. And now I feel much better than I felt last night. 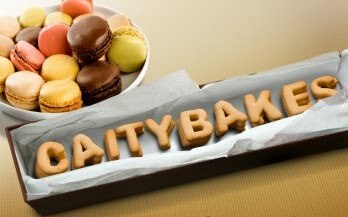 Oh, wait, this is a baking blog. I guess I should tell you what I baked. 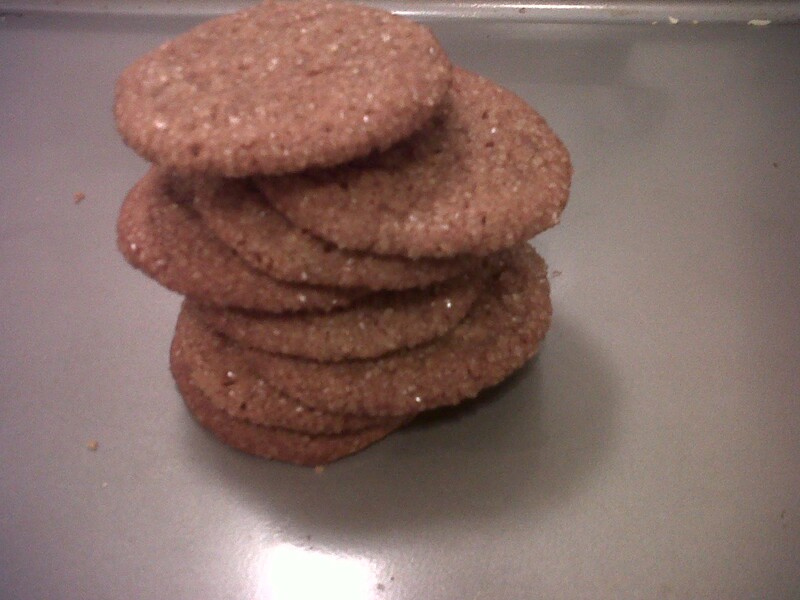 Chewy Ginger Cookies. This is the gingeryest cookie I've ever had, probably on account of the fresh grated ginger in there, and is an absolutely perfect holiday cookie. Thank you to Bon Appetit for making my day (and my agent's and my coworkers' and my roommates') with this recipe. Ok, now it's cookie time. 1. Arrange oven racks on upper and lower thirds of oven. Preheat oven to 350 Degrees Fahrenheit. Line four baking sheets with parchment paper. 2. 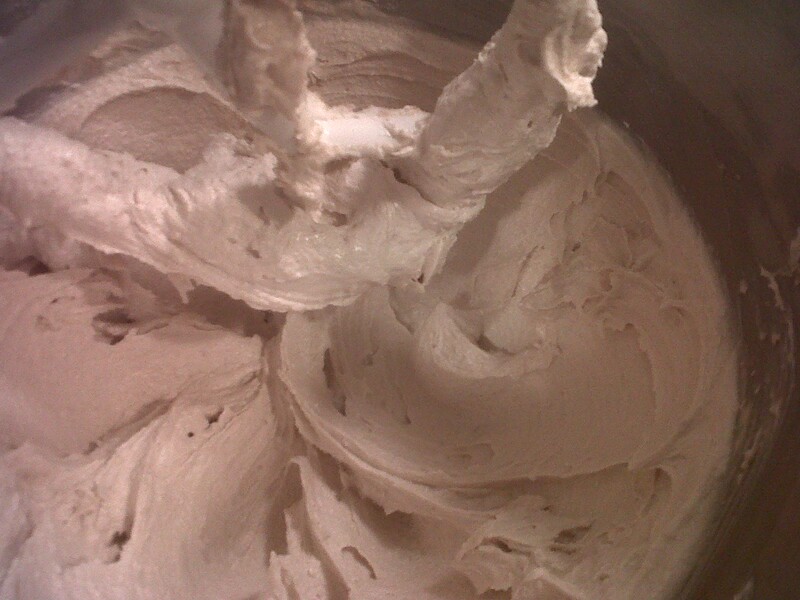 In a medium bowl, whisk together flour, ground ginger, baking soda, cinnamon, nutmeg, salt and pepper. 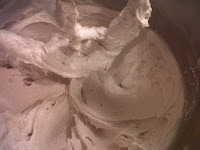 Using an electric mixer, beat brown sugar, shortening and butter in a large bowl on medium-high speed for about 3 minutes, until light and fluffy, periodically scraping down the sides of the bowl with a spatula. 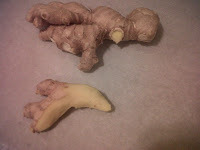 With mixer on low speed, add in egg, molasses, grated ginger and vanilla. Mix until blended. 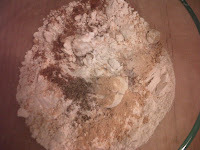 Add flour mixture slowly, beating just to blend. 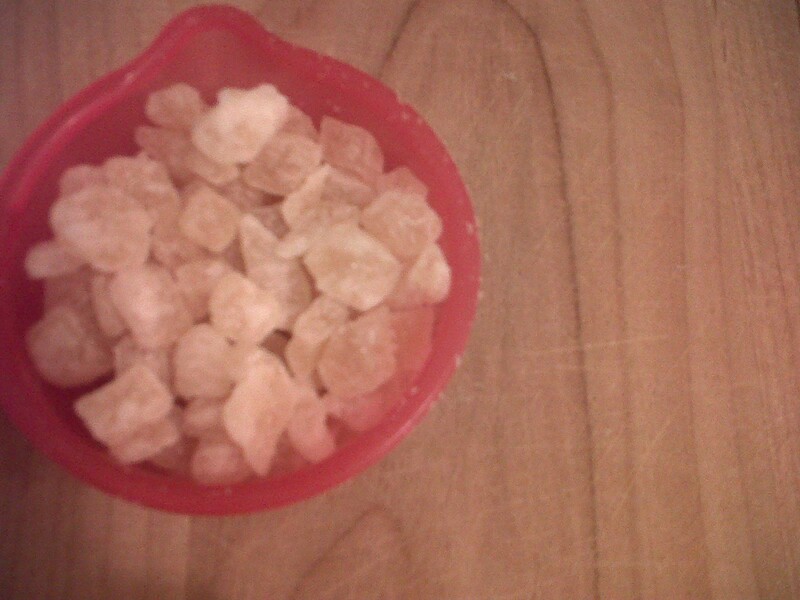 Mix in crystalized ginger. 3. Place raw sugar in a shallow bowl (I used a pie tin). 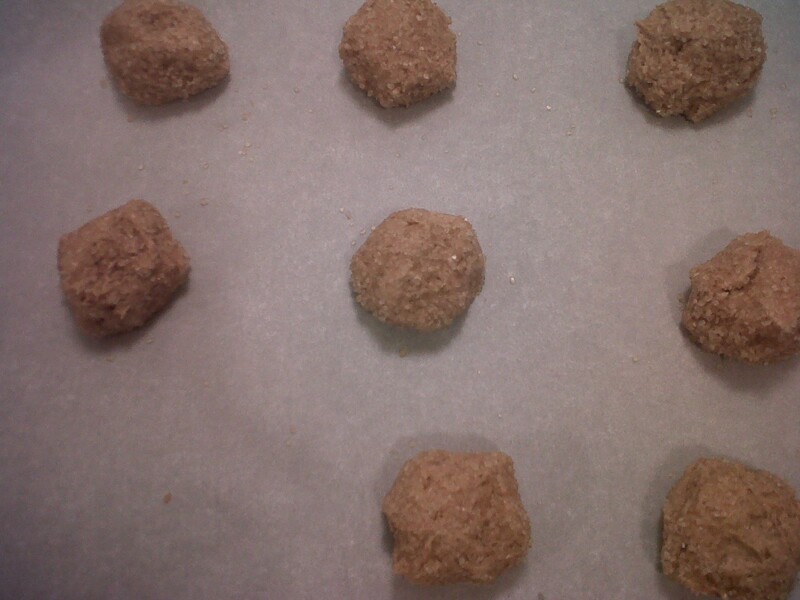 Scoop cookie dough by the tablespoon-full into raw sugar, rolling dough into balls and coating evenly with the sugar. 4. Place coated cookie dough balls on prepared baking sheets, 1 1/2" - 2" apart (This is important. They spread out. I didn't listen to this advice on my first batch, trying to fit all the cookies on two cookie sheets, and they baked unevenly. So listen to the advice.) Bake at 350 for 12 minutes, rotating sheets halfway through, until edges are firm and centers of cookies appear cracked. Remove from oven, let cool on cookie sheets for 2 minutes, then transfer cookies to cooling racks. 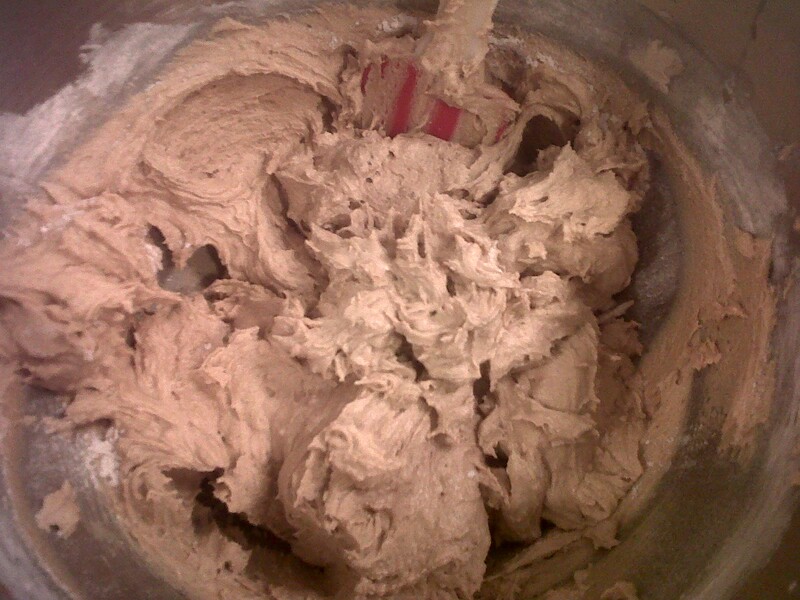 And now, for a photographic journey through the making of this cookie. AKA Dear Santa, Please bring me a nice new camera for Christmas so people don't have to suffer through blurry blackberry photos anymore. AKA Dear Blackberry, Please make your photos as awesome as those of an iPhone. This is a ginger root. smaller piece on the bottom. Look! 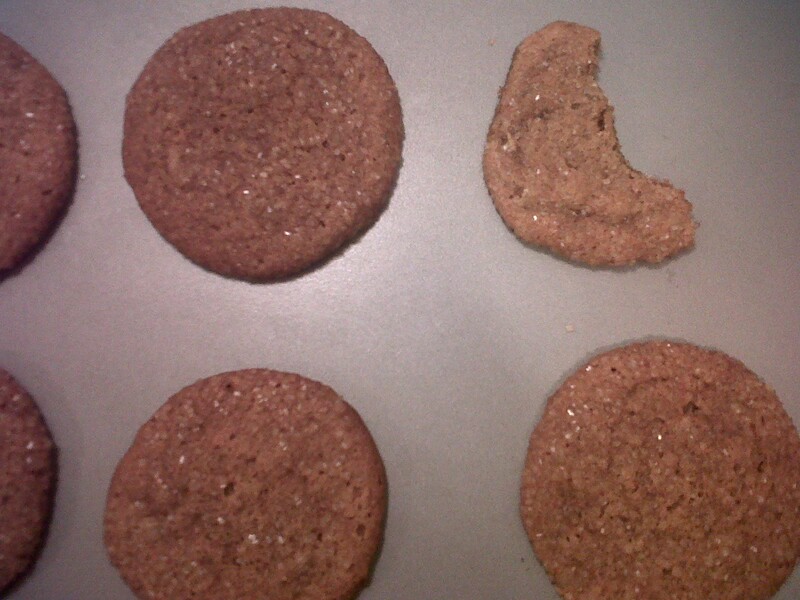 There's pepper in the cookie! After adding the dry ingredients. You can also dice with a knife. 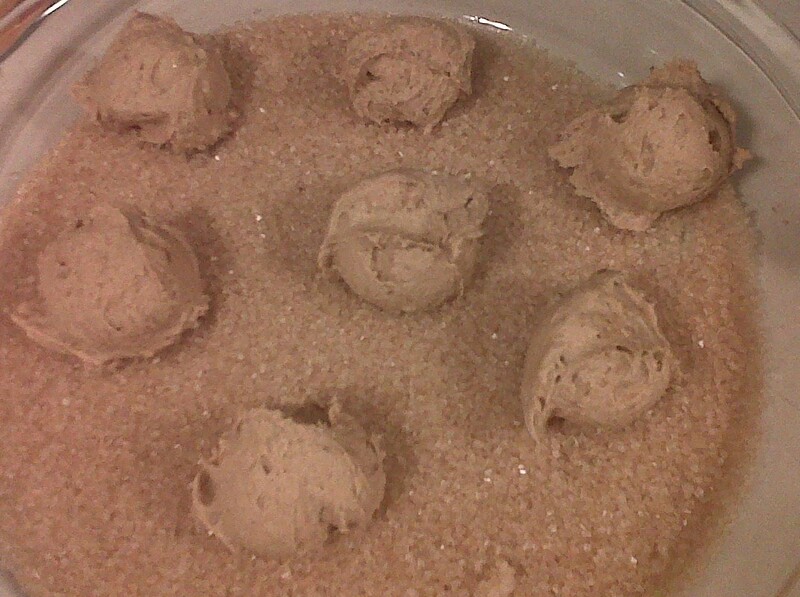 Roll, roll, roll in the sugar.